This popular activity gives the kids something to take home with them from your party or event. Does not include supplies! 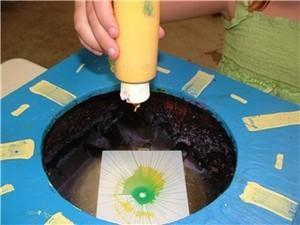 You can use tempra or acrylic paint and 5 x 7 card stock paper with the machines.